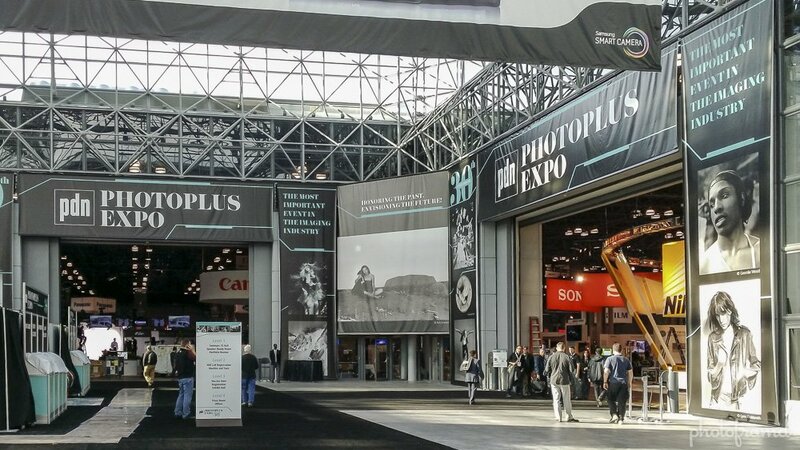 PhotoPlus Expo celebrated its 30th anniversary this year. Unfortunately, it was also one of its smallest show. It lost about 20% floor space over last years show and that was not a big show either. Attendance on Saturday was also light. But, all the major companies were there – Canon, Nikon, Sony, Olympus, Sigma, Fuji & Panasonic. New this year was Samsung, but both HP and Adobe decided not to attend. There were no major announcements at the show, but still plenty to discover. I have been very disappointed with Canon and there delay with the release of the Canon 7D Mark II. Instead, Canon released the 70D. I have sworn off Canon’s double-digit D line due to unnecessary releases just to drive sales. But, this 70D is different. Actually, it’s pretty awesome. The technology in the Canon 70D has been in development for a while. It dates back to the surprising success of the video capabilities in the Canon 5D Mark II. Canon knew they had something with this dual-pixel sensor for video, but did not have the right vehicle until now. The 70D is really a DSLR built for high-definition video. No, it is not 4K, but it is practically a camcorder in a DLSR form. When you combine the 70D with a Canon STM (Stepper Motor) lens, the camera produces incredibly sharp focus and smooth transitions. Gone is the hunting while the lens tries to achieve focus. Add to this a LCD touch screen, and you can choose your new focus point just by touch. Who needs a focus puller! This camera could be a game changer. I am very excited about this camera. 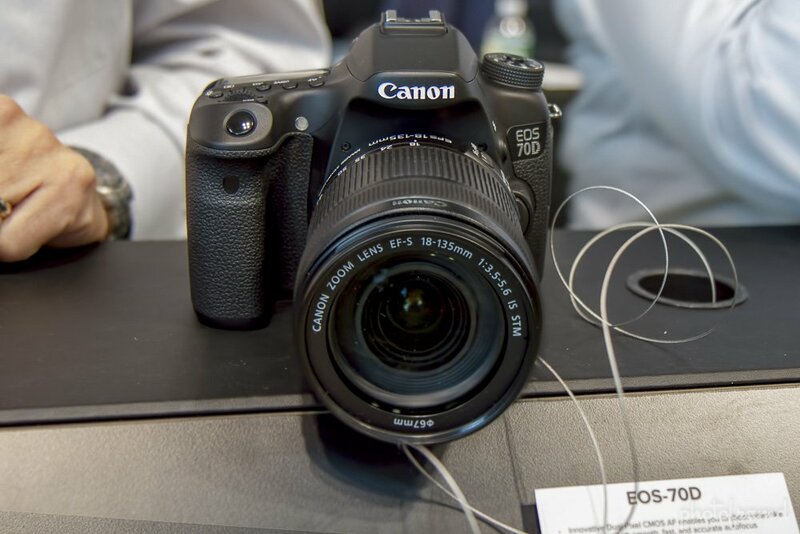 I will be using the Canon 70D with the Canon 18-135mm IS STM Lens to shoot the NYC Village Halloween Parade this week. So expect to hear more about it soon. You can check stock on B&H and Adorama here. You can always count on Sigma to introduce the unexpected. Sigma introduced two new lenses in their new “Art line”. The Sigma 18-35mm f/1.8 and the Sigma 35mm f/1.4 produce buttery smooth boken with sharp details in the the focus range. 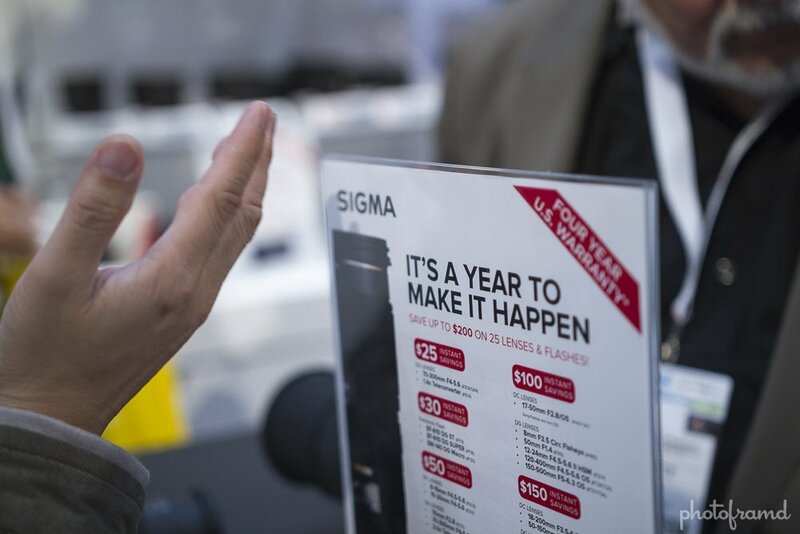 This photo was taken with the Sigma 18-35mm at f/1.8 in their booth. Sigma has received great reviews for both of these lenses and they are priced to sell. In fact, the demand is so high that B&H is having a hard time keeping them in stock. 3. 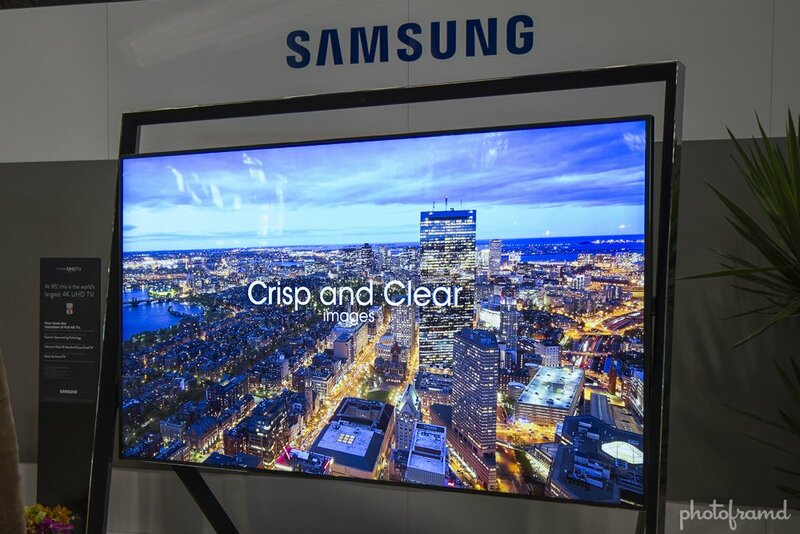 Samsung 4K Ultra HD LCD TVs. Samsung had an incredible booth. Not only were they showing their Android-based cameras, but they had these incredible 4K Ultra HD LCD TVs on display. Do you remember the first time you saw 1080p HD? Imagine that 4-times as sharp. It’s jaw-dropping. Of course, these TV are still expensive and there is no true 4K content. But, this is the next phase in TVs and it is glorious. 4. Capture Pro from Peak Design. One thing that I love about PhotoPlus is the chance to discover new products & new companies. Capture Pro from Peak Designs is innovative and brilliant! 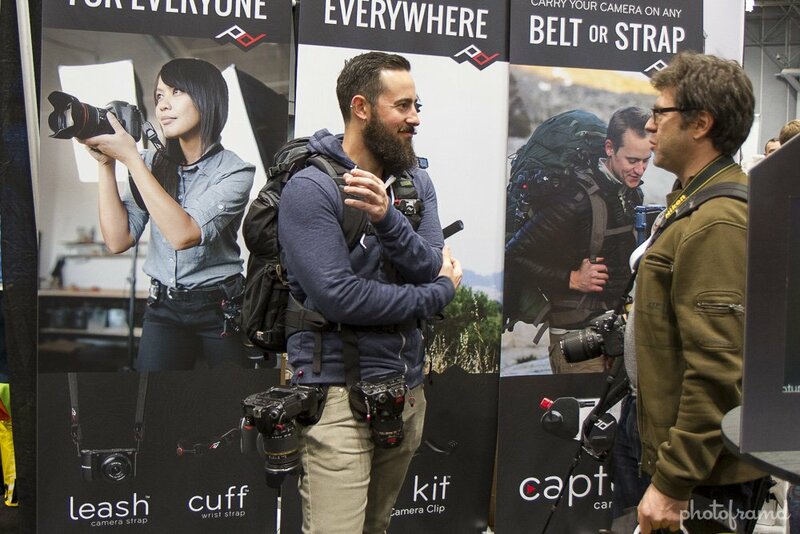 It is a camera carrying system without the belt/harness. It claps on to a strap or belt that you are ALREADY WEARING! It is machined metal and strong enough to carry 200-pounds! It is available with a Manfrotto or Arc-Swiss mount (or both) so that you can go right from your belt to the tripod. Did I say brilliant? Both B&H and Adorama have Capture Pro in stock. 5. Moab Slickrock Metallic Pearl & Silver Ink Jet Paper. Have you ever seen a photo printed on Kodak’s Endura Metallic Color Negative Paper? The photo pops with an eye-catching iridescence. Well, you can now get that same look from your ink-jet printer. The Slickrock Metallic Silver Ink Jet Paper so metallic that it is really silvery. Print look so much like a metal print that I had to touch it. Looking for a more subtle look? 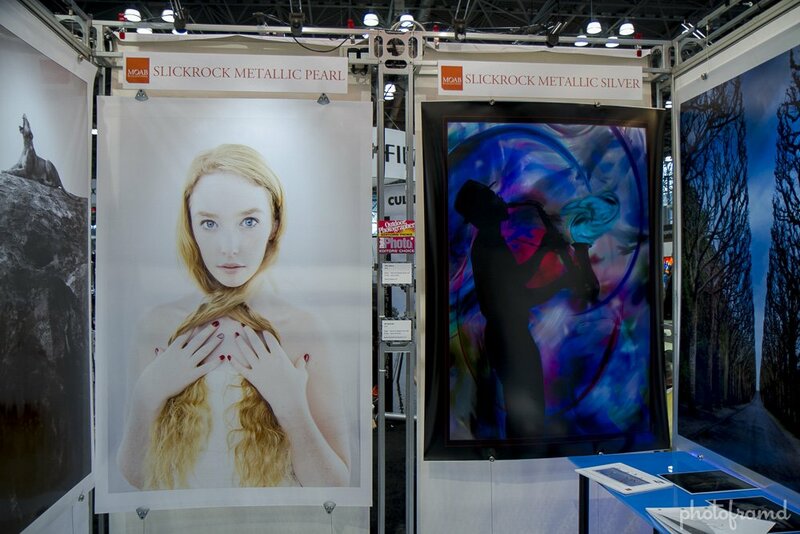 The Slickrock Metallic Pearl Ink Jet Paper has a pearl finish that looks great with softer colors and skin-tones. Both are currently available at B&H and Adorama. 6. 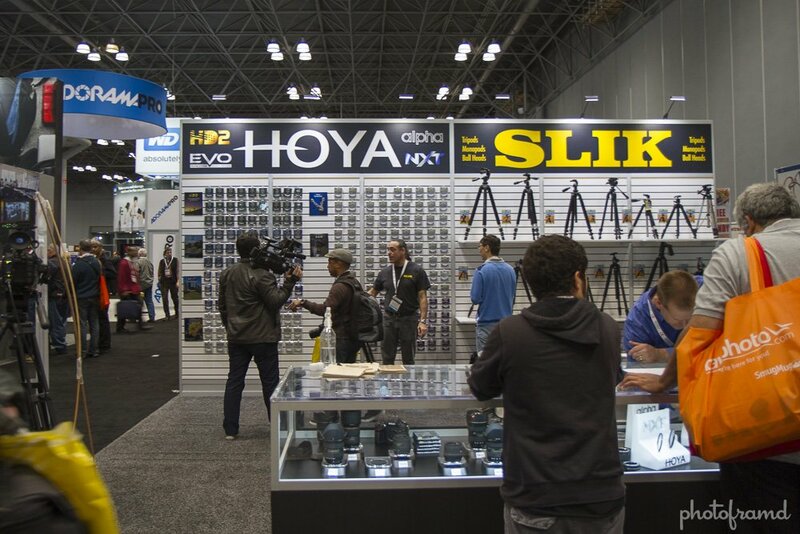 Hoya HD & HD2 filters. 7. Delkin Fat Gecko Triple Mount System. This gecko has nothing to do with car insurance. 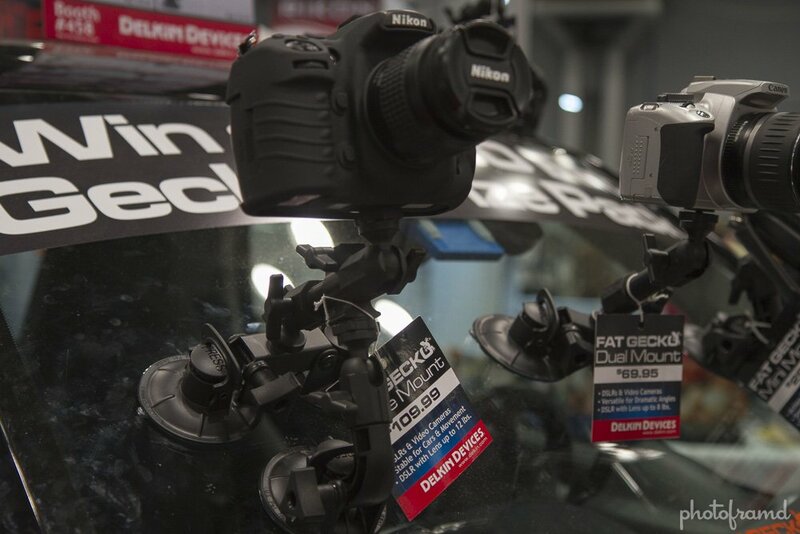 Delkins Fat Gecko is an incredibly strong suction-cup mounting system. I have had the Single and Double Mounts for a few years. But, Delkin finally released the Triple Mount which combines the two for added stability. It will easily hold 8-pounds securely. I have used it mounted to my car to record video with my Canon 7D! It’s available at both B&H and Adorama. Overall, it was a good show. Look for my Halloween video taken with the new Canon 70D with the Canon 18-135mm IS STM Lens later this week!